I’m only going to make quick summaries of all the game-relevant information because the first half hour consisted of chatting with the voice actress, M・A・O, who plays Meia a.k.a the Azure Witch. A major announcement was made at the Tokyo Game Show yesterday by the game’s project leader and producer! 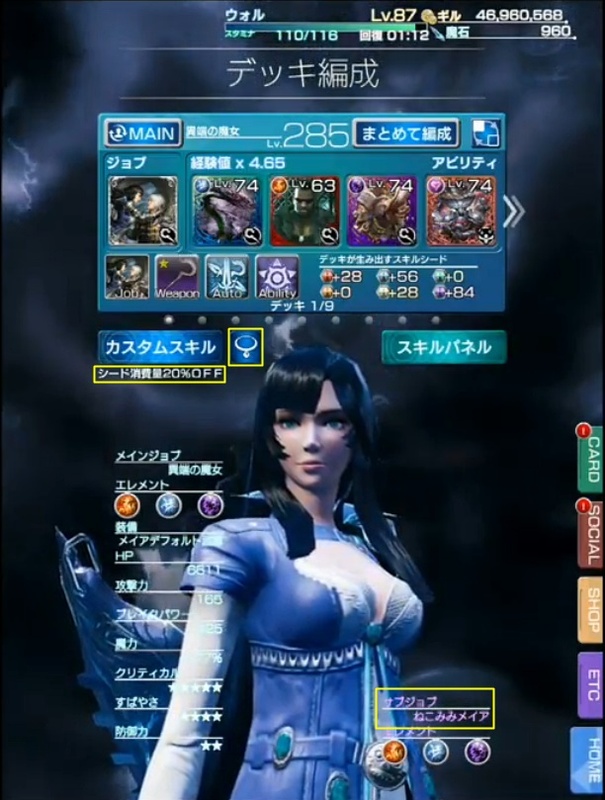 Meia will take the place of Wol in Chapter 6! 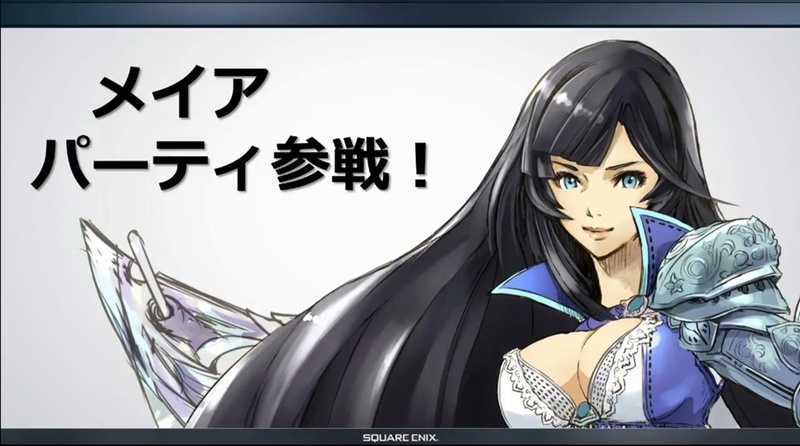 Meia will be the player character for Chapter 6. The chapter is entitled “Recollection of the Witch” (追憶の魔女) and will be released in October. 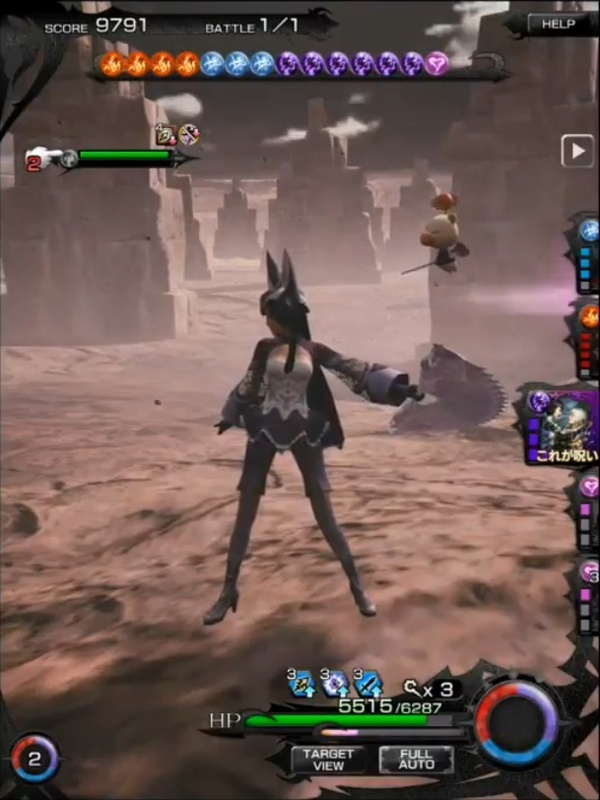 Gameplay featuring Meia was shown on the live stream. 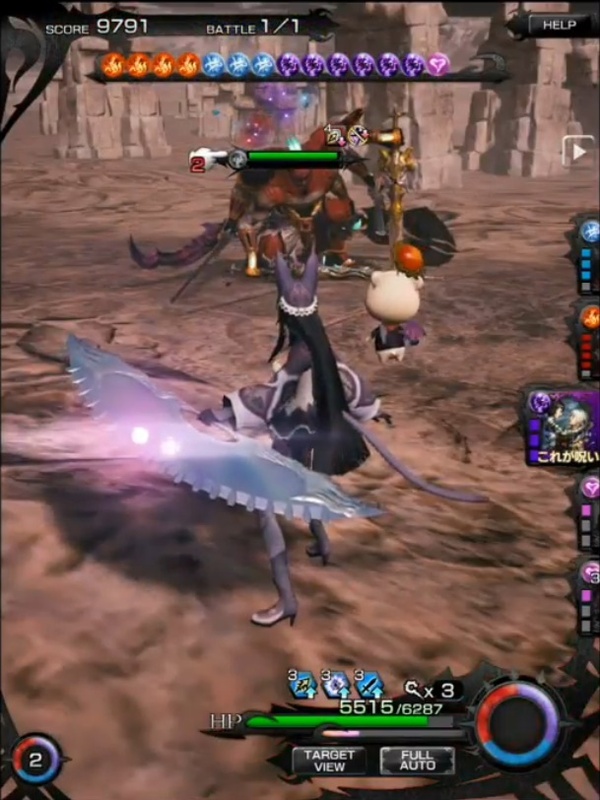 Her regular attacks consist of tossing magic at enemies with her free hand and ending the turn with a slash from her weapon. 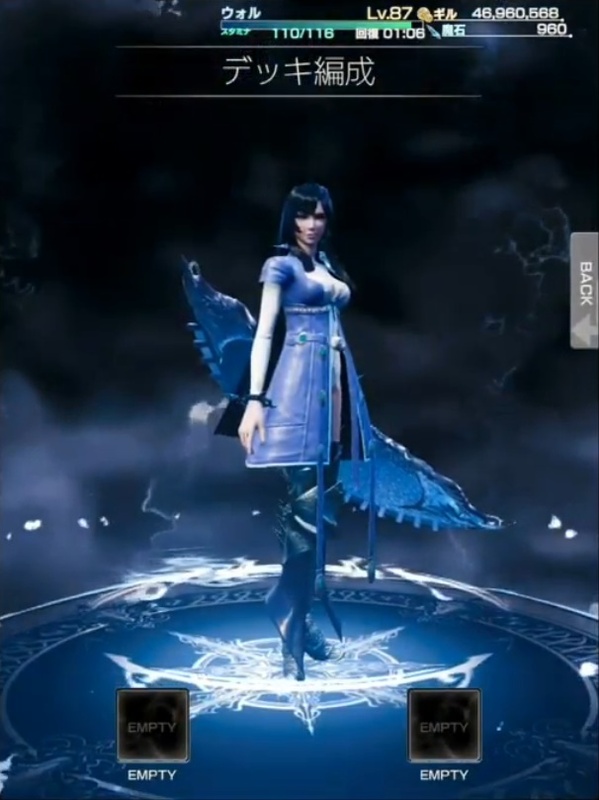 The Mobius FF team prepared a special scenerio to show Meia in action for the Tokyo Game Show. 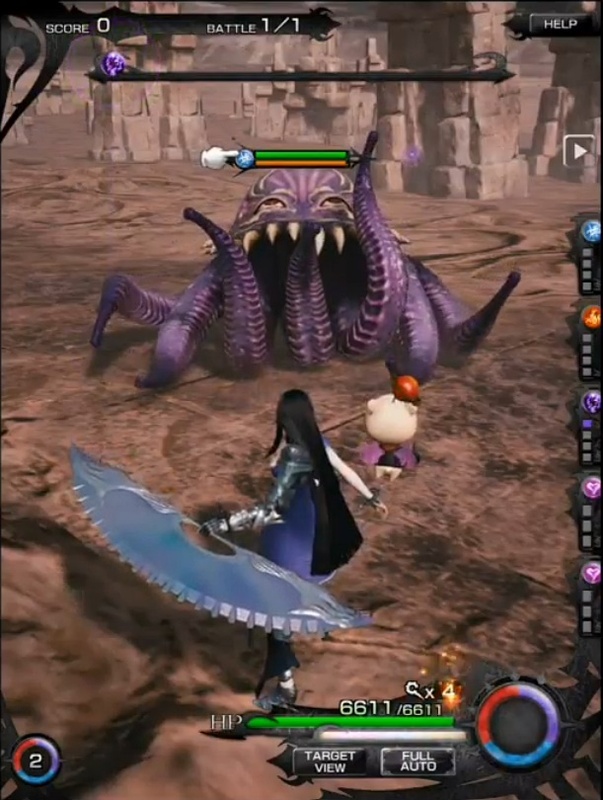 At around 1:13, the new Decoration system was revealed! The Decoration system was introduced! You can enter the Decoration menu by tapping on the small necklace icon. The Decoration menu. Tap on the boxes below to choose head accessories or body decorations. Afterwards, another battle was shown and the job change option was used~! Meia in her cat outfit/job. 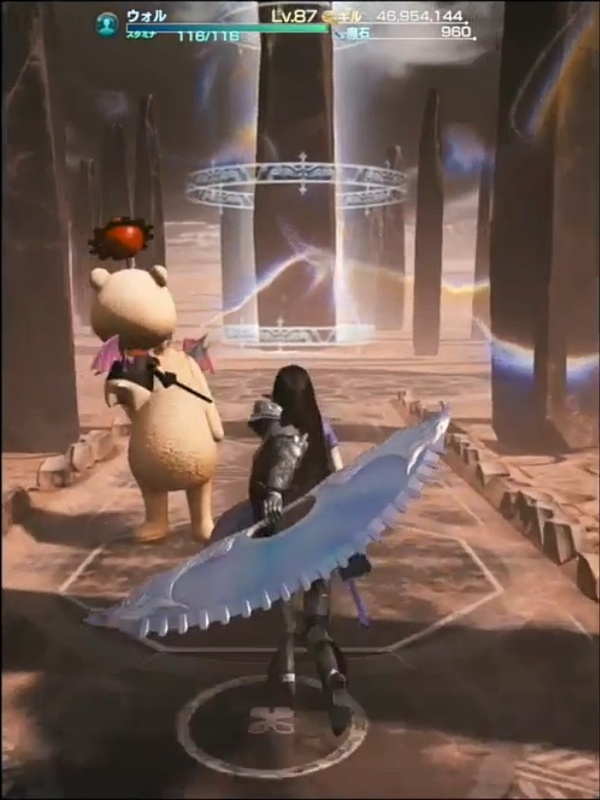 She’s battling Gilgamesh. Another angle of the cat outfit/job. 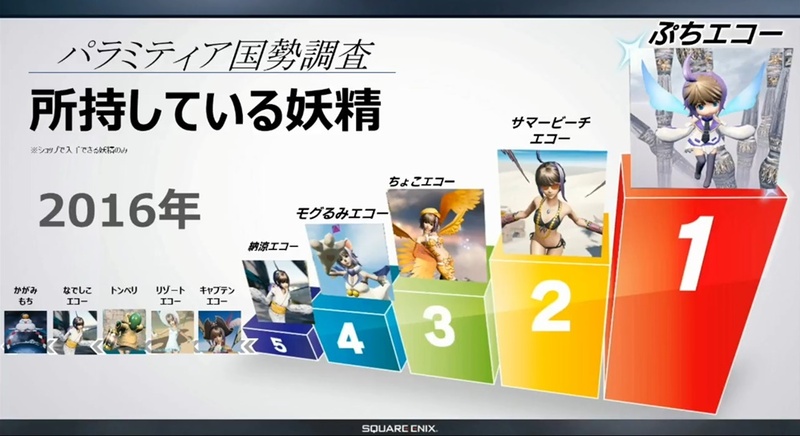 The last topic of the stream was revealing the cover of the Mobius Final Fantasy First Annivesary Illustrations Collection and also some character design illustrations for Sarah, Garland, and Echo. A post card will come with the illustrations collection if ordered from the Square Enix Japan e-Store. Character design pages for Sarah, Garland, and Echo. The early designs of Echo. The book can be ordered from various outlets such as Amazon Japan and retails for 2800 yen (tax included. Otherwise, it’s 2593 yen). If you order from the Square Enix Japan e-Store, you’ll also receive a post card featuring the cover artwork as well. 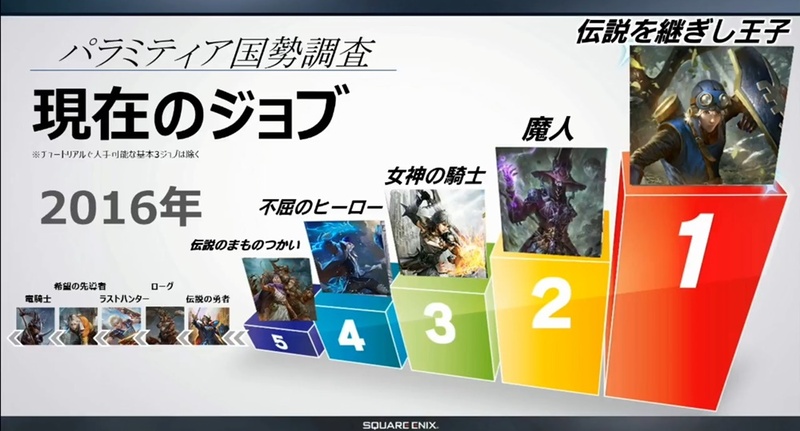 Like last year, the Mobius FF team shared the rankings of the most popular jobs year to date. Most popular spirits so far up to September 2016.